Easter is a little earlier this year and it will be the start of a new month. It also means your new free printable is now available to download (see link below). 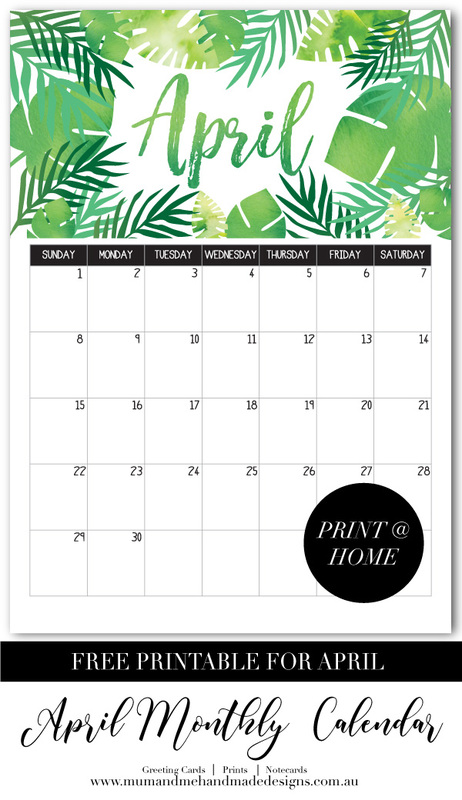 So this months free printable is a tropical themed palm leaves April 2018 Calendar that would look great in the home or at the office. Just download and print from home. 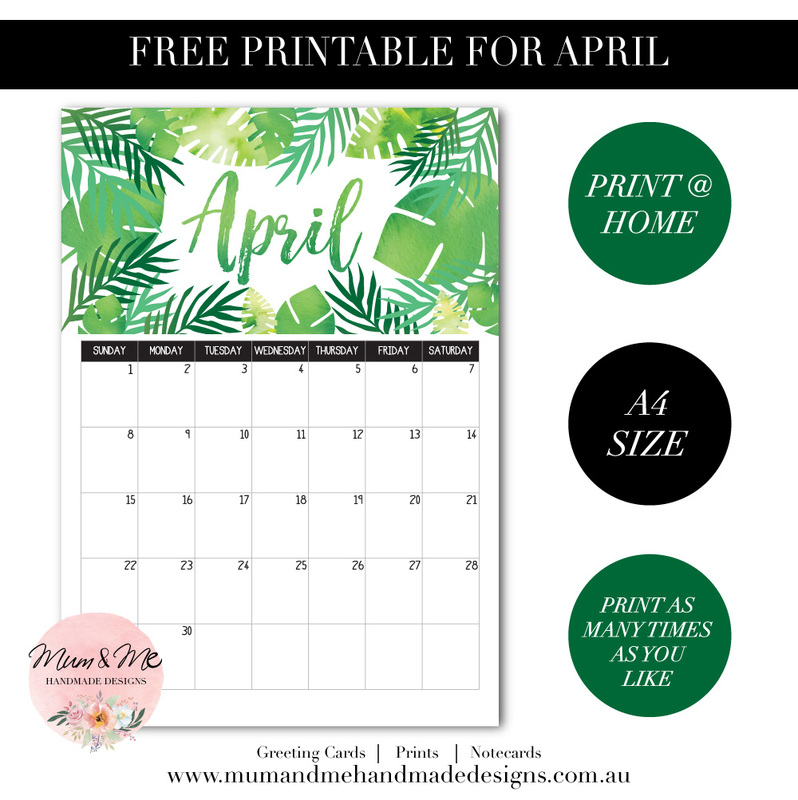 Click HERE to download your free April 2018 Monthly Calendar. It's a great one! Thank You. Will there be a June version?